Migraine Monologues: Work Capability Assessment, ESA & your chance to have your voice heard! Work Capability Assessment, ESA & your chance to have your voice heard! Many of those suffering with chronic migraine, which renders them unable to work, may not realise that they're most likely eligible for Employment and Support Allowance (ESA). Provided, that is, they make it through the incredibly arduous process that includes the dreaded Work Capability Assessment (WCA). As it stands, WCA is not exactly migraine friendly. It is also worth noting that the BMA (British Medical Association) voted to demand that WCA cease with "immediate effect." I'll be writing soon in more detail about ESA & WCA, providing tips and hints, but today I wanted to let you know that the Migraine Trust are asking for anyone who has personal experience of the WCA process to "answer a call for evidence"! The Department for Work and Pensions (DWP) has commissioned Professor Harrington to undertake a 3rd independent review of WCA. The review calls for both individual and collected responses, i.e that of an organisation. 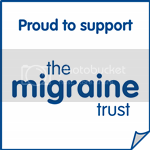 So, the Migraine Trust are strongly urging anyone with experience to a) respond to this by the 7th of September and b) also forward or call Hannah Verghese (Advocacy and Policy Manager) with your responses so they can be included in the Migraine Trust's overall reply. This needs to be done by Wednesday 29th of August. Many charities and individuals have been working tirelessly behind the scenes to encourage this much needed call for evidence and change to the descriptors, which means the questions that get asked in the actual WCA to 'assess' whether you're 'fit to work'. I strongly urge you all to follow Sue Marsh's incredible blog Diary of a Benefit Scrounger to keep up to date with what's happening. Sue posted a blog today with the latest suggested changes to the descriptors. 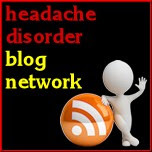 You can post comments on Sue's blog and she will pass them on to the relevant channels. You have until the end of the week to respond to the suggested changes. They're definitely a step in the right direction but a lot of work still needs to be done. This really is vital for us migraineurs. The questions asked in the WCA are mostly not applicable to our situation - really think about how a migraine affects your daily life, how it disables you - in what specific ways. i.e loss of consciousness, vertigo, side effects of medications, loss of speech, paralysis etc etc etc. Do the questions listed here reflect what you are going through? Migraine is a truly disabling neurological disorder, the most common neurological disorder in fact, so we have to ensure that our rights to the ESA benefit is protected. Therefore, we must respond to this call for evidence. Please get in touch with The Migraine Trust (by the 29th August) and with Sue Marsh to get your voice heard. We may not get this chance again. Now go back and read this again, imagining that Jude Dench just said all this. webѕite too and let me know your oρinion. because i want enјoymеnt, as thіs thіs wеb sіte conаtions геally gooԁ funnу data too.